Americans can wave goodbye to the “new normal,” according to the man who popularized the term. 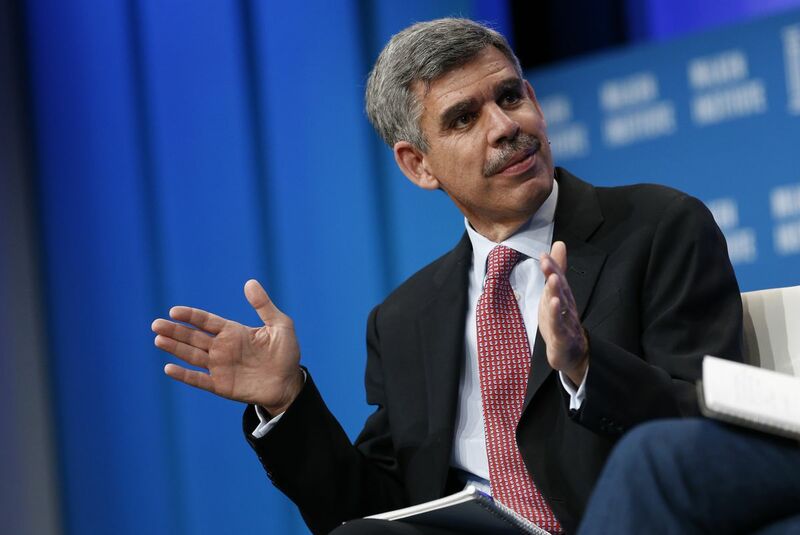 Allianz SE chief economic adviser Mohamed El-Erian (who is also a Bloomberg Opinion columnist) says the world’s largest economy has finally broken out from its post-crisis malaise. 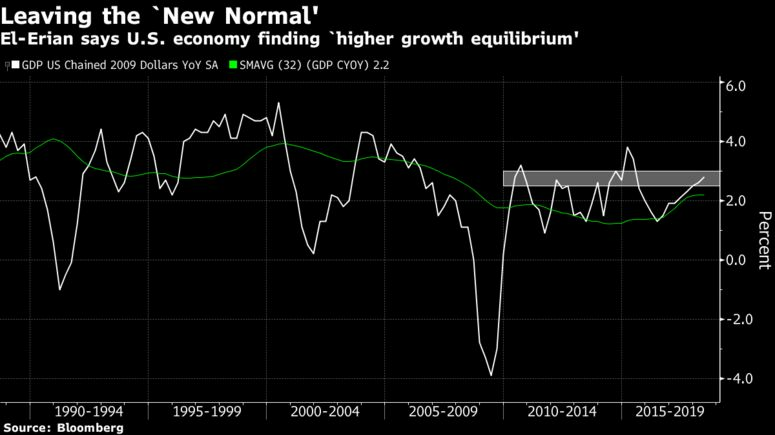 “The U.S. on a standalone basis has exited this new normal, is now finding a higher growth equilibrium, 2.5 to 3,” he said in an interview on Bloomberg Television Monday. The U.S. gross domestic product rose by 4.1 percent quarter-on-quarter from April through June at a seasonally adjusted annualized rate, its fastest pace of growth since 2014. In 2009, El-Erian and his colleagues at Pacific Investment Management Co. coined the term “new normal” to describe their meager outlook for global activity: slower growth and more regulation — not a V-shaped recovery to 3 percent expansions. This view was largely panned by Wall Street economists at the time. However, it evolved into conventional wisdom as growth failed to meaningfully accelerate in the post-crisis era with lackluster productivity gains and an aging workforce. Now, the stage is set for labor force participation to rise while the unemployment rate stays low, according to El-Erian. This combination means the Federal Reserve can “safely raise rates,” without fearing it will choke off activity.